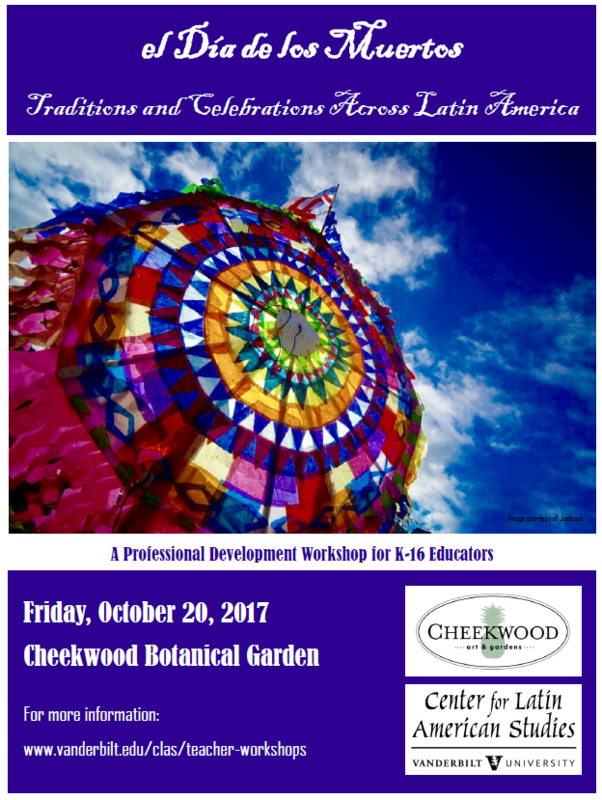 Cheekwood and Vanderbilt’s Center for Latin American Studies presented this day-long workshop to explore the cultural and historical significance of the Día de los Muertos holiday across Latin America. Participants heard from Vanderbilt scholars, learned about the Día de los Muertos traditions throughout all of Latin America, and took a deeper dive into the holiday as celebrated in Guatemala. Educators also took part in a hands-on activity (barrilete construction) that can be tailored for their own unique classrooms.